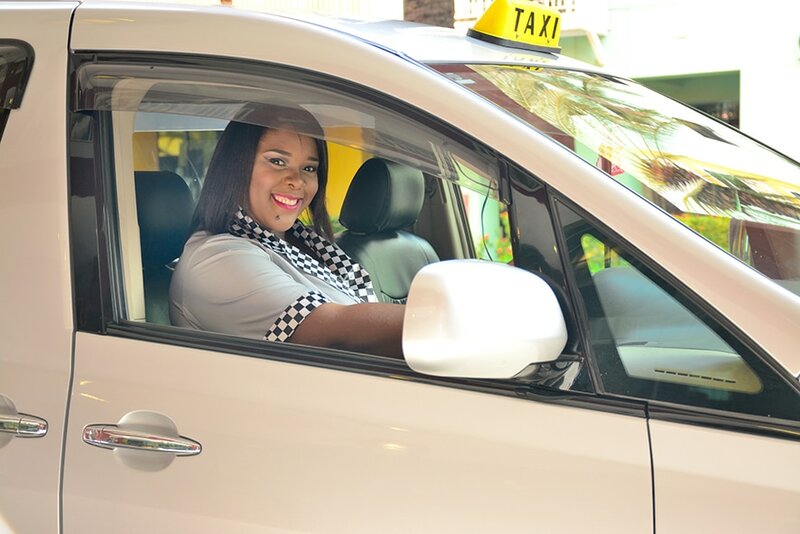 Friendly Taxi Curaçao consists of a dedicated team of professional and licensed taxi drivers, whom operate fully-inspected vehicles and have proper insurance coverage. At Friendly Taxi Curaçao, we strive to provide you with a service where your safety and comfort are our top priority. 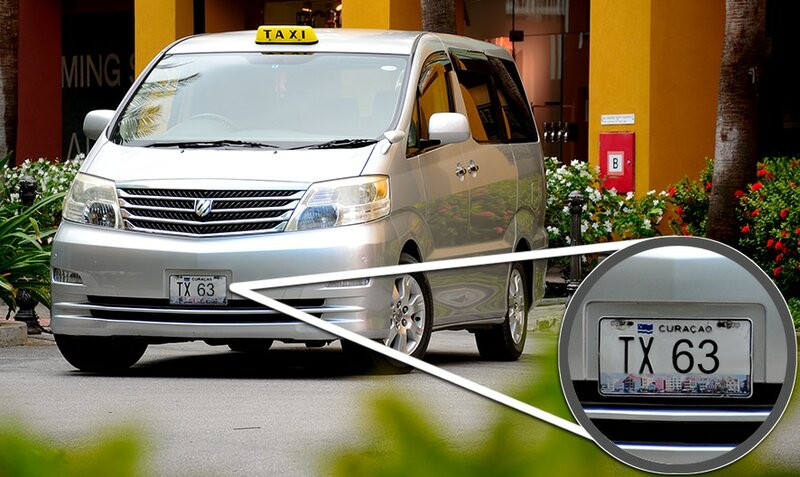 ​Friendly Taxi Curaçao drivers can easily be recognized from our license plates. A legitimate license plate will have the Curaçao flag on top and will always have the abbreviation TX followed by a number. This is an important detail for your safety so you may avoid taking taxis, which do not have permits or insurance. Although the type car for a taxi may vary, due to specific needs of our customers, you may rest assured that the license plate does not change no matter the circumstances. Look for the TX! 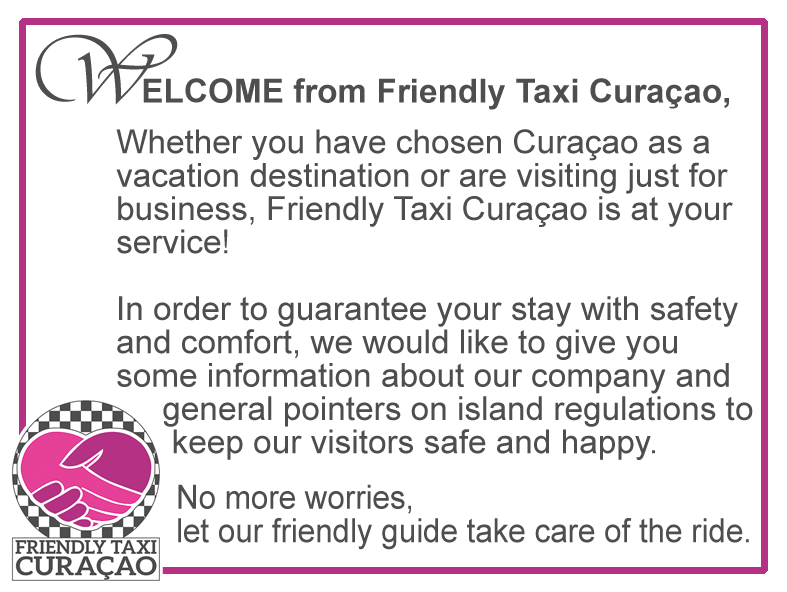 Friendly Taxi Curaçao has fixed rates, which are stipulated by the government. These rates are based on the distance of the route, instead of the mileage. In Curaçao, taxis do not use a taximeter. Prices are applicable for a minimum party size of 4 persons and are denominated in US Dollars; a 25% surcharge will be added to the standard tariffs for each additional person. Please keep in mind that night-time rates are different. From 11:00 pm to 6:00 am the rate increases with 25%. For more information, feel free to contact us with your questions anytime!